WIP No. 4: Off To The Frog Pond! 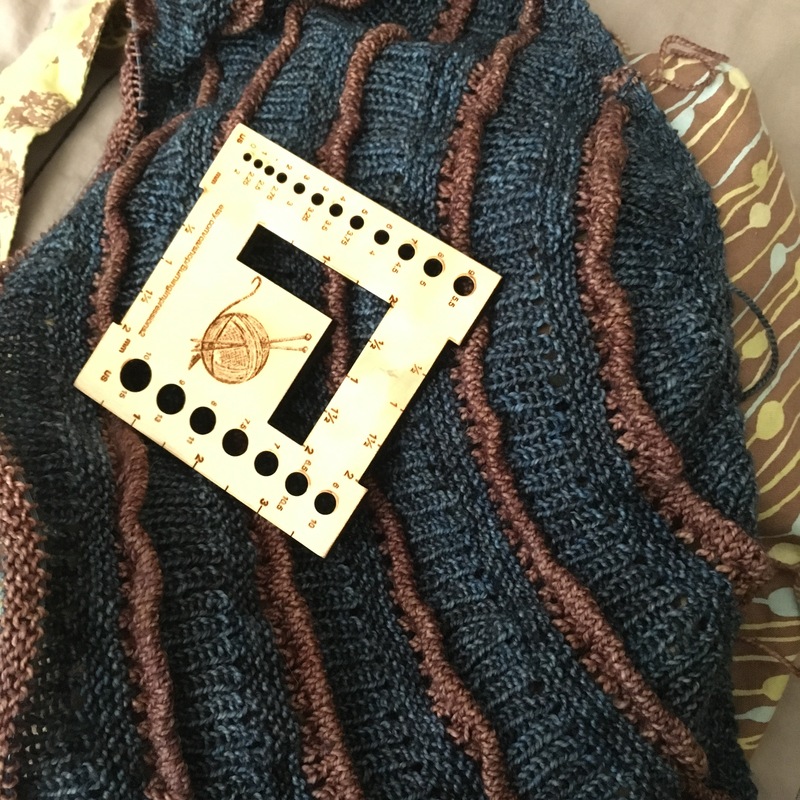 The fourth project in my WIP and UFO showdown is my long forgotten Welty, a pattern by Stephen West. As a little bit of background, I purchased the yarn for this shawl on the way to Rhinebeck in 2014 with my mother and sister. We stopped in Warsaw, NY at the Dancing Goat Yarn Shop (which has since closed) for a break on the long drive. 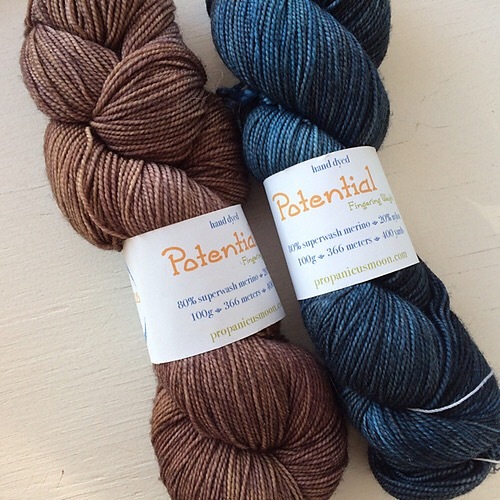 I purchased two skeins of Propanicus Moon Potential in some beautiful colourways: Midnight In The Garden and Recliner. The colours are lovely and go well together, they remind me of this fantastic trip with my mother and sister, and I love the pattern, so what is the problem here? Step 1: How did this become a forgotten WIP? (A true UFO at this point!) Well, I loved the pattern, I loved the yarn, but I wasn’t happy with the gauge. Once I realised that the shawl was going to be much smaller than I wanted it to be, even with blocking, I lost interest. 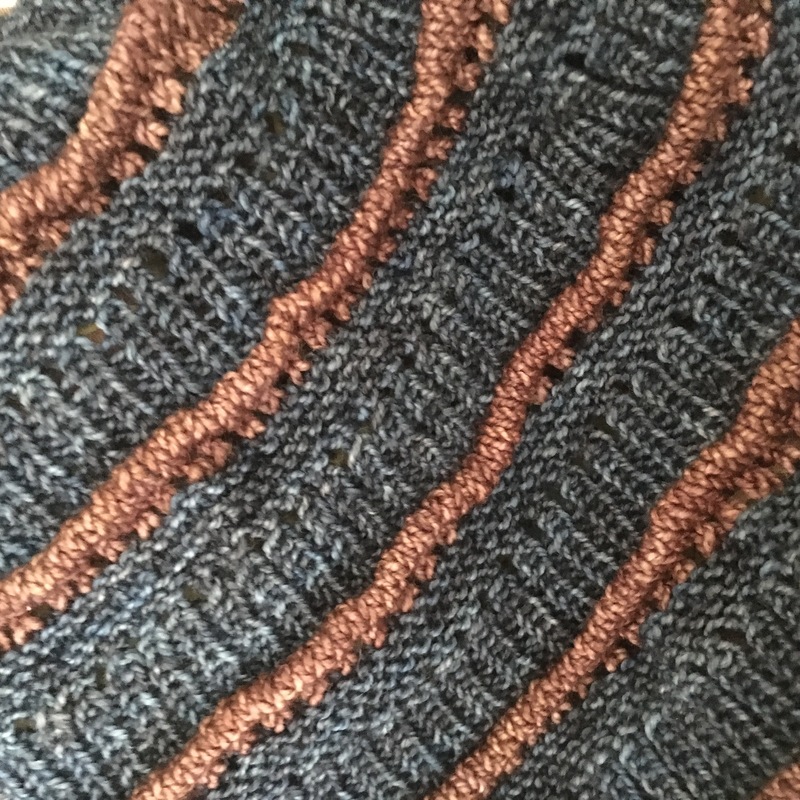 I was reluctant to frog because of the effort put into the project and perhaps I was hoping I would change my mind about blocking and the gauge issue (or that the problem would magically go away if I ignored it for a while). Essentially, I had my head in the sand, in complete denial. Step 2: What’s the real problem here? It comes down to gauge. 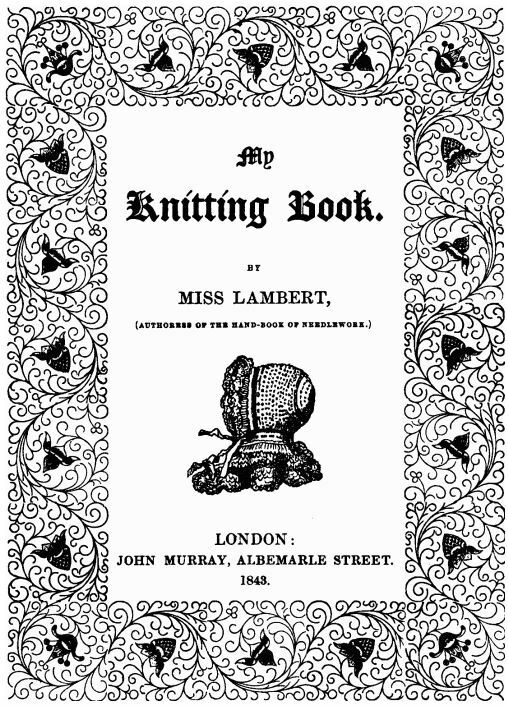 The pattern calls for a gauge of 20 stitches and 48 rows = 10 cm, whereas, I have something more like 24 stitches and 32 rows = 10cm. This makes the fabric too dense for my liking. Did I make a gauge swatch? Well … no. Step 3: Next Steps? It is time to take a deep breath and unravel this project. To the frog pond so I can use this beautiful nostalgic yarn for a project that makes me happy. I love this yarn, and I do really like the pattern, so in the new year, I plan to try it again with larger needles and try for a more pleasing (and accurate) gauge. Step 4: Lessons Learned? What have I learned by examining how this WIP ended up at the bottom of the pile? I learned the denial can be a strong motivator to keep me working on a project that is clearly not going as planned – there is a stubborn part of my brain that refuses to listen to the part that keeps suggesting that blocking will sort out all of my problems. If I’m not going to do a gauge swatch, then I need to evaluate my gauge early on in the project and decide if I think it is working out as planned. < Previous WIP No. 3 Complete!